There was NO ONE like you, Brother. We are blesséd to have had you in our lives. Anthony Natividad was the Earth Medicine Institute’s instructor of Sound Healing. Born and raised in Hawai’i, Anthony was an innovative flute musician, recording artist, craftsman and entertaining storyteller. For more than 20 years, Anthony’s heart was captured by the magic of the flutes. 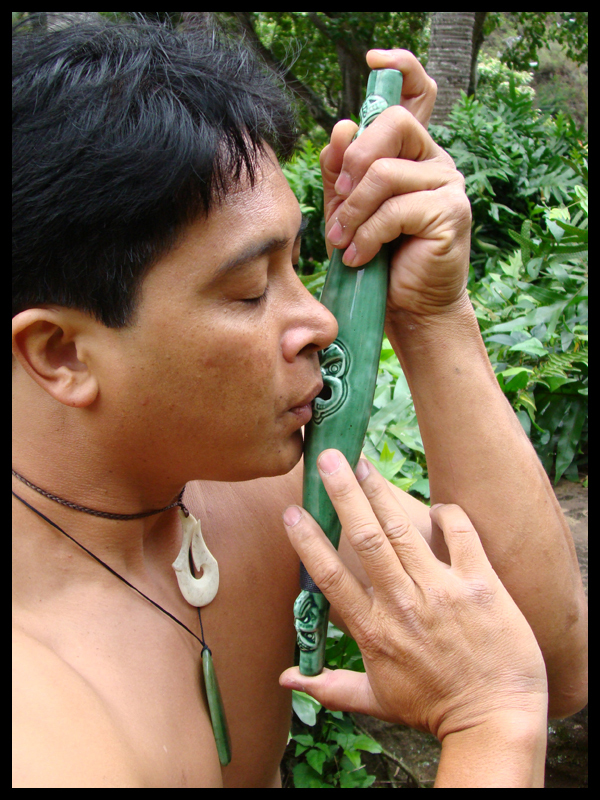 His deep appreciation for nature, spirituality and cultural diversity inspired him to revive the “ohe hano ihu”, the Hawaiian nose flute. An instrument of sincerity, the nose flute is so named because it is played with the “HA” (the sacred breath of the nose) and expresses the player’s heart and intentions. Because the nose flute was used for courting, it was misunderstood by foreigners and was banned as an instrument of seduction. An original musician with the award winning show “Ulalena” on Maui, Anthony recorded the first all nose flute CD, “Ahupua’a”. He was also featured on the Odyssey channel’s “America” series. His creativity inspired him to create flutes from aluminum cans, plastic bottles, cardboard rolls, film containers, straws, pvc pipes and even a chocolate egg. Anthony’s musical performances captivated audiences of all ages from preschool to küpuna (elders); and his sound therapy sessions created deep, profound and healing experiences. For more information about Anthony and his legacy go to www.AnthonyNatividad.com.